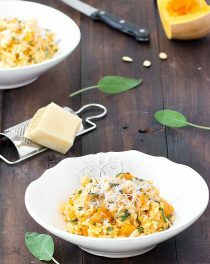 Today I’ve put together some of my favorite Halloween treat ideas to share with you. 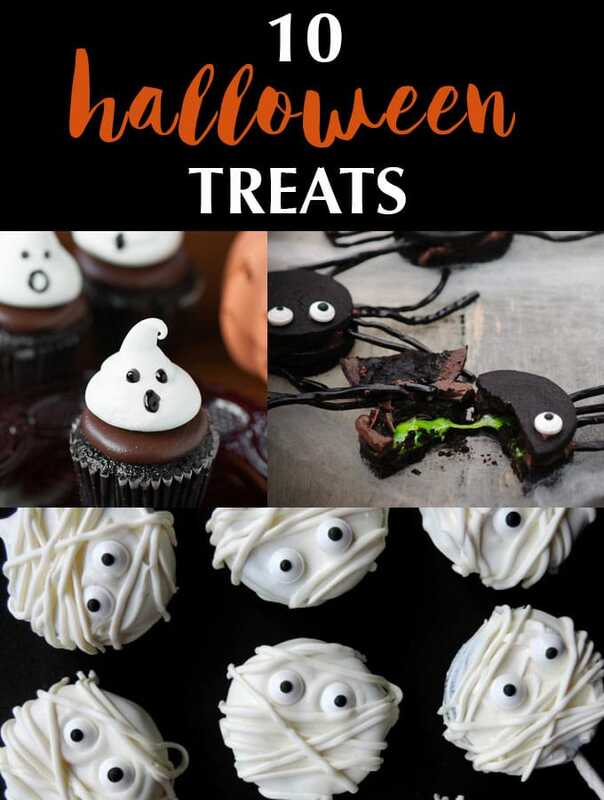 Whether you’re planning a party for friends or bringing in sweets for your child’s classroom, these Halloween treats will surely be a hit! They are really cute, tasty and fun ideas, It would be hard to pick just one to make. 1) You don’t feel like baking? SPIDER MARSHMALLOW POPS by TAKING CARE OF MONKEY BUSINESS: creepy, yet cute! 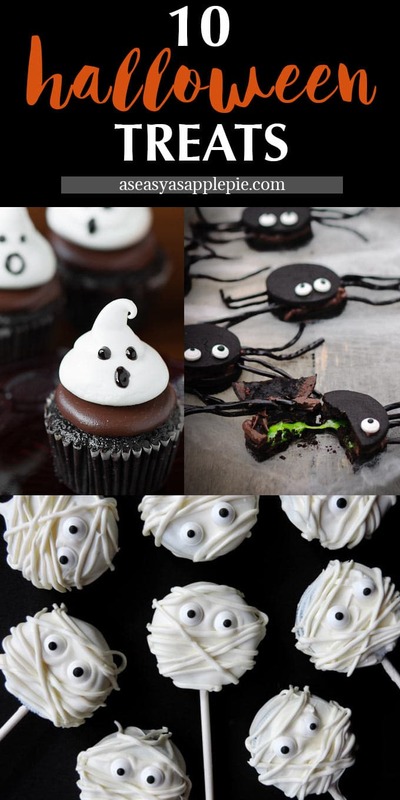 2) These OOZY SPIDER COOKIES by FROM CALCULUS TO CUPCAKES are the perfect spooky Halloween party treat! 1) PUMPKIN PATCH WHOOPIE PIES by YOUR CUP OF CAKE: the cutest whoopie pies I’ver ever seen. 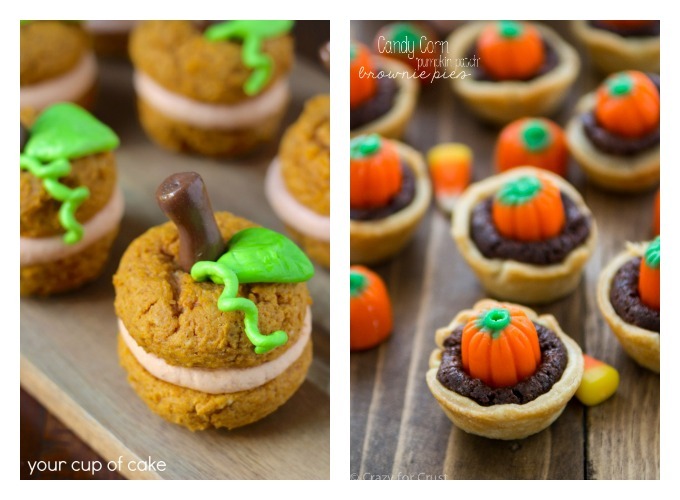 2) PUMPKIN PATCH CANDIE CORN BROWNIE PIES by CRAZY FOR CRUST: delicious and cute mini brownie pies topped with pumpkin candy corn. 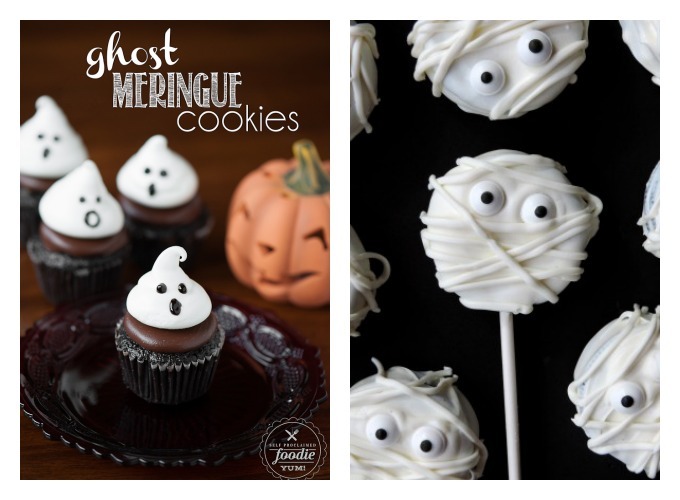 1) GHOST MERINGUE COOKIES by SELF PROCLAIMED FOODIE: adorable! They are great as cookies or cupcake toppers. 2) OREO MUMMY POPS by SMELL GOOD KITCHEN: they are almost too cute to eat and couldn’t be easier to create. 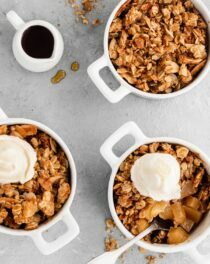 1) SALTED CARAMEL APPLES by JULIE’S EATS & TREATS: a crunchy apple smothered in sweet caramel and decorated with vanilla baking chips. 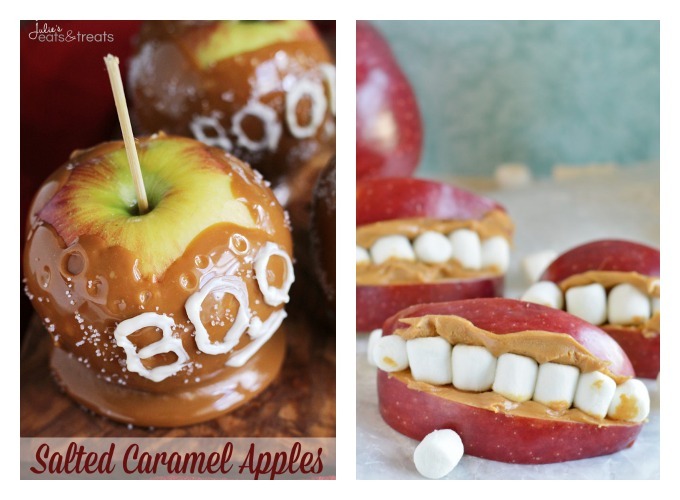 2) KID’S FUN TEETH & MOUTH SNACK by SURVIVING A TEACHER’S SALARY: quick and easy to put together and sure to be a hit. 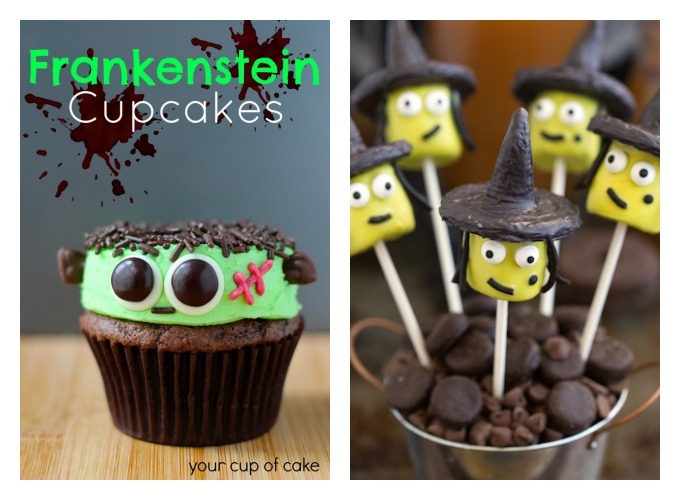 1) FRANKENSTEIN CUPCAKES by YOUR CUP OF CAKE. The kids will love them! 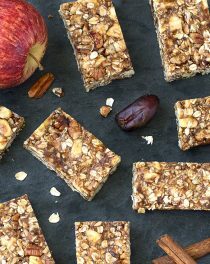 2) Another crowd pleasing no-bake dessert. 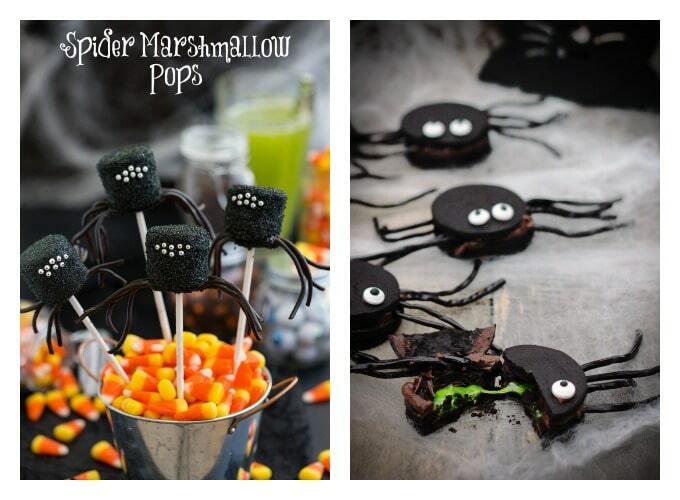 These WITCH MARSHMALLOW POPS by TAKING CARE OF MONKEY BUSINESS come together in a snap. What a fun round up for Halloween! Thanks for including me! Pinned! what a great round up. everything included is adorable!